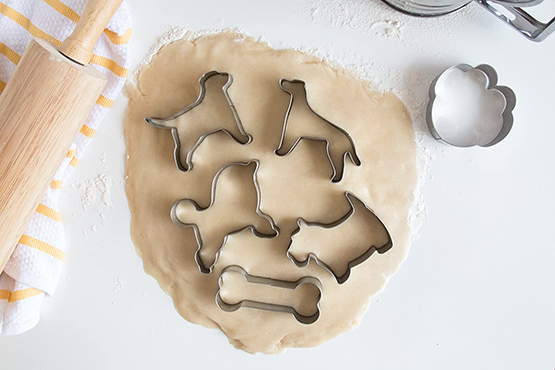 This cookie cutter set includes 6- 3" cookie cutters: Paw Print, Dog Bone, Poodle, Greyhound, Scottie, and Lab. I have also included my canine approved "Doggie Treats" recipe. Trust me, your dog will love you for it!